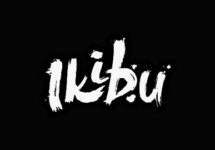 Start your Ikki journey now! Visit the Ikibu camps during the week, progress on your journey and enjoy their special goodies. There are extra Seeds on Mondays for the first level-up and more on Wednesdays just for depositing. And recently they launched their casino races where players can compete in anything from evening speed races, to bigger challenges such as the Daily Chase and the Weekly Quest. Not yet an Ikki at this intriguing casino? Then sign-up now and claim their generous Welcome Package with Deposit Bonuses for the first 2 deposits plus 5,000 Seeds to get you started on your epic journey. 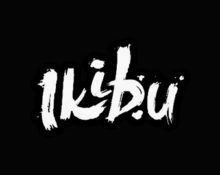 The week at Ikibu never gets boring as the Ikkis have regular promotions ready to be devoured by their loyal players. All can get a head start on Mondays with extra “seeds” on level-up and continue on Wednesday with even more extra “seeds” for depositing. All those who like a proper race can take part in the daily and weekly Ikibu Races. Seeds – These are at the center of the Ikibu reward program and are collected for various activities in the casino. Player can exchange them for Free Spins at a variety of values on a selection of games. Wild Wednesdays – Certain birds in Ikibu eat fruits that grow on treetops, leaving the seeds of these fruits aside. Each Wednesday the bravest and cleverest Ikkis climb up these trees to collect them. They even shake the trees to get all of the seeds at the same time! Receive 1,500 extra Seeds for the first deposit of the day. Minimum deposit needed to qualify for the reward is €10.00. Extra Seeds are credited automatically after the deposit is completed. Launched in 2016, the casino is operated by MT Secure Trade Ltd, Malta under MGA Malta and UK Gambling Commission licenses. On offer are on desktop, mobile and tablet a large range of games from 2BY2 Gaming, Bet Digital, Betsoft, Elk Studios, Genii JustForTheWin, Microgaming, NetEnt, NextGen Gaming, NYX Interactive, Play’n GO, Quickspin, Red Tiger Gaming, Thunderkick, WMS and Yggdrasil. The Live Casino are powered by Netent Live.